Late last month we delivered our personal loans dashboard, showing a fair amount of activity among providers. As customers increasingly use the mobile channel as an active medium to communicate and engage with their bank, financial institutions continue to invest in the mobile space. As such, some of the most innovative changes recorded in the last quarter have been in the mobile channel. Among these, NatWest & Lloyds Bank launch of mobile application journeys for its personal loans product is the most intriguing development. 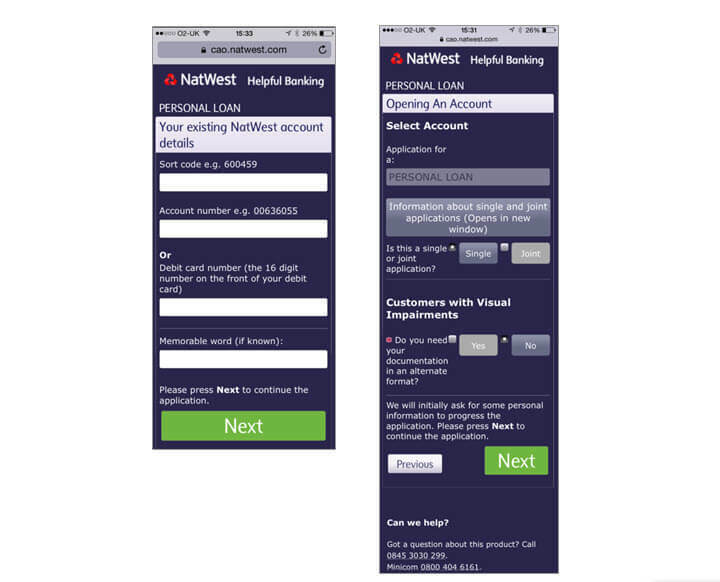 The NatWest mobile version of the application is only available to existing customers not registered for internet banking. The mobile optimised application consists of a progress checker and includes useful tools such as the address finder tool, and help on certain question fields that open up in a new window with mobile optimised content. All pages of the application also feature a specific personal loan call centre number at the bottom with an associated click-to-call functionality. 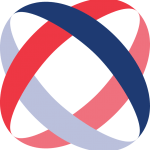 One of the downsides of the application journey is that although the application requires customers to enter their NatWest account details before they proceed to the application, none of the application details are prepopulated. 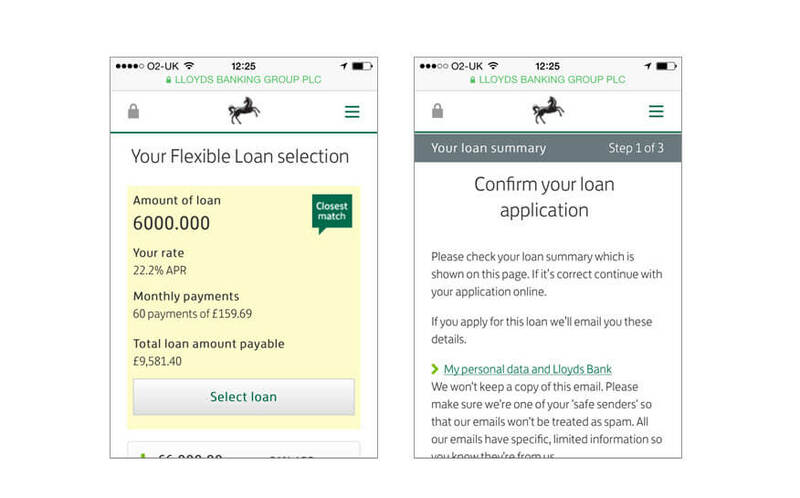 Lloyds Bank, on the other hand, has introduced a mobile loans application within its secure site for existing customers, allowing them to obtain a personalised quote throught their loans calculator and subsequently apply for the product using a fast track application. We believe more banks will follow suit with mobile optimised applications as more and more consumers browse and make purchases using smart phone and tablet devices. With fast evolving technology and a myriad of options available to a potential customer, it is now more important than ever for financial institutions to keep up with ever changing consumer behaviour and expectations. In the UK there is evidence of mobile application journeys for deposit and savings products within mobile banking secure areas, however only a handful were found exploring the benefits of a mobile sales journey for borrowing products such as a mobile application for overdrafts which is offered by Lloyds bank and Nationwide. A good example of an optimal sales journey for loans products within a mobile banking app can be demonstrated through an overseas bank, mBank in Poland, which recently introduced an end to end mobile journey to apply for a loan and obtain funds within 30 secounds. Existing customers eligible for a loan can view their preapproved loan amount after login, and can directly apply for it. The mobile form involves a single screen requiring customers to enter their preferred loan amount and choose the desired number of loan repayment installments to obtain a credit decision. The loan is disbursed immediately after the mobile application is submitted. An easy, fast track application with minimal approval and disburment time has made the mobile loan product a big hit for mBank. Although in the recent past banks have been promoting mobile applications for credit products such as credit cards and overdrafts, most providers still appear to be wary of offering mobile sales journeys for higher profit margin products such as personal loans. Mobile optimised applications and express initiatives and innovations such as that offered by mBank can help banks maximise the opportunity of increased lending.